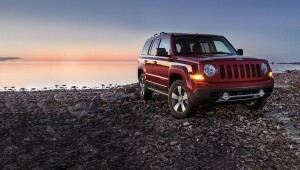 Learn more about the 2016 Jeep Patriot in this review from thecarconnection.com. 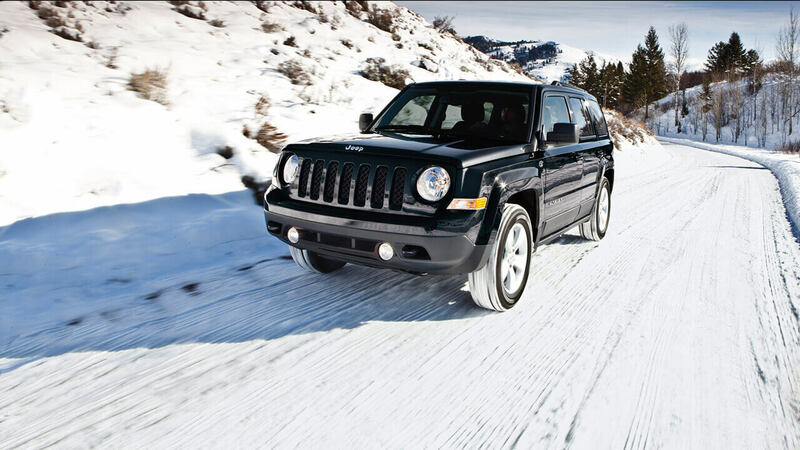 The 2016 Jeep Patriot may be somewhat overshadowed by the larger Cherokee and smaller Renegade models—both of far newer, with far superior packaging—but it’s worth considering if cost-conscious transportation is one of your top priorities. The Patriot lands in an intriguing middle ground between mainstream compact crossovers like the Honda CR-V, Subaru Forester, or Toyota RAV4, and some of the smaller models such as the Kia Soul, Honda HR-V, Nissan Juke, or Chevrolet Trax. While the original Patriot was something of a disaster—think loud, sluggish, and austere—Jeep has found ways to make this vehicle a far better, more appealing vehicle. Today, it offers a sensibly sized package that combines macho Jeep lines with enough softness and civility to make it practical family transport. It may not be the newest or best-equipped, but there’s a lot to like regardless. From a design standpoint, it offers what the Subaru Forester has in its past iterations. The boxy, trim, bold exterior yields a tremendously useful interior, with good cargo space, and rear seatbacks that flip forward easily to make more room. We’ve found entry and exit very easy, thanks to the tall roofline, with plenty of headroom front and back—although the one surprise is that the seating position is lower than expected, with the dash rather high and enveloping. The base engine on the Patriot is a 158-horsepower, 2.0-liter four-cylinder. Top Limited models and any version equipped with all-wheel drive come standard with a 172-hp, 2.4-liter version; a five-speed manual gearbox is standard, while the six-speed automatic is offered across the lineup and the CVT is bundled with Freedom Drive II. That system, by the way, enabled the Trail Rated badge—and some degree of capability for churning through sand and mud, and even doing some mild rock-crawling—in part because the CVT has a low range. But the CVT definitely brings drivability down on streets and highways, with rubber-band-like responses and the sort of engine boominess that has otherwise been banished from this lineup. Think twice before going with the top 4WD system, as the six-speed automatic has the Patriot feeling much more zippy and refined. The Patriot is offered in Sport and Latitude models, as part of a lineup that’s been slimmed down somewhat in the Renegade’s wake (and in what could be a long goodbye, as this model is due to be retired in a year or so). Base equipment on the Sport includes fog lamps, illuminated cupholders, rear-seat heater ducts, tilt steering, cruise control, roof side rails, tinted glass, and an auxiliary input. There’s no standard air conditioning, but those super-budget-conscious types are going to appreciate how it keeps the base price to around $18k. Patriot Latitude models add air conditioning, power windows and locks, power heated mirrors, keyless entry, front heated cloth seats, a fold-flat front passenger seat, a 115-volt power inverter, and a leather-wrapped steering wheel with audio controls. Last year’s Limited model is gone, but it’s been replaced with some expanded option packages that cover most of that ground—except the four-wheel disc brakes, perhaps. Later in the year a new Sport SE package will step up ride height on front-wheel drive models, add tow hooks to 4WD models, and bring other upgrades like heated mesh front seats and Mineral Gray alloy wheels, and roof rails. Up until now it’s been the most traditional model in Jeep’s lineup to some eyes, while others see it as more stylish—it’s all in the eye of the beholder. Yet there’s no denying that the boxy exterior creates lots of usable interior space. From the outside, there’s a lot to like in the Patriot, with proportions and sheetmetal that are squared-off but not too refrigerator-like, as well as detailing that keeps it simple but purposeful. With details like the Jeep seven-slot grille and chunky door handles, there’s just enough softness and civility blended in with the right amount of macho. For this year, there’s a bit of an elephant in the room, and that’s the Jeep Renegade, which starts at a price not much higher than the Patriot. Also boxy, and in some respects nearly the same size as the Patriot, the Renegade seems to make a bit better use of the same space; and the Renegade does away with any of the Patriot’s niggling cheapness in the details and switchgear. Indeed, the look of the Patriot’s cabin was one of mediocrity and cost-cutting not too many years ago; but it has been upgraded, with several rounds of brightwork, some soft-touch materials, and a few more details. Once you get up close, however, you’ll still notice the low-rent materials, with lots of hard, dull plastic, and the odd tall dash layout coupled with the lower-than-expected seating position. That Renegade’s looking even better now, isn’t it? There’s one other visual change for 2016: a new exterior color, Mojave Sand. The 2016 Jeep Patriot drives a bit more like a budget-conscious small sedan or hatchback than you might expect; and there’s a good and bad side to that from a performance standpoint. The base engine for the Patriot is a 158-horsepower, 2.0-liter four-cylinder, while top Latitude models—and any version equipped with all-wheel drive—come standard with a 172-hp, 2.4-liter version. A five-speed manual gearbox is standard on the Sport, while the six-speed automatic is offered across the lineup and a continuously variable automatic transmission (CVT) is bundled with Freedom Drive II. The 2016 Jeep Patriot was made a much better vehicle a couple of years back, when for most of the model line its mediocre continuously variable transmission (CVT) was replaced by a responsive, smooth-shifting six-speed automatic transmission for most of the model line. There are three different drive systems for the Patriot, which helps explain why the CVT is still on board. If you have snowy winters to navigate or plan to do some lightoff-roading, you’ll want the available Freedom Drive I system, which is pretty standard but includes a locking center differential. There you get the six-speed automatic (or manual). But the Freedom Drive II system is hardier and includes low range for real off-road conditions. It’s the only Patriot that earns a ‘Trail-Rated’ badge, and is accompanied by other upgrades like additional skid plates. It’s actually one of the better systems you can spec on a small crossover. But for that, you have to accept the CVT, which has the low range built into its transmission. That transmission has some of the worst traits of CVTs, feeling less responsive in ordinary city driving, with rubber-band-like pauses, followed by noisy motor-boating drones, when you need a quick burst of power. Whether for daily commuting or out on the open road, for outdoor types on a budget, the Patriot works well enough. It’s especially useful around town, where it’s a joy to maneuver and handle, and parking is easy. That’s the good; the bad is that if you have more discerning tastes, it’s sorely lacking in refinement and sophistication.